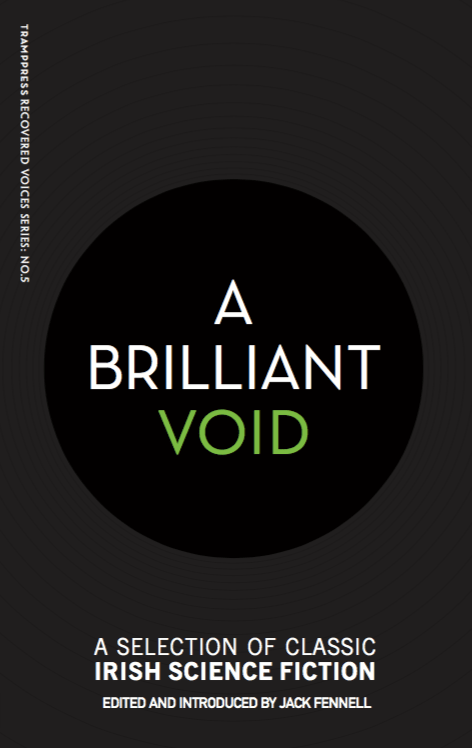 Jack Fennell’s A Brilliant Void featured at Hodges Figgis! « Jack Fennell and A Brilliant Void at Waterstones Belfast! Join Jack Fennell, author of Irish Science Fiction and editor of our latest Recovered Voice book A Brilliant Void, at Hodges Figgis where he’ll chat to Dee Sullivan, Ruth Frances Long and Dave Rudden about Irish science fiction, monsters and more! Jack Fennell is a writer, editor, translator and researcher whose academic publications include pieces on science fiction, utopian and dystopian literature, monsters, Irish literature, and the legal philosophy of comic books. He is the author of Irish Science Fiction (2014), a contributing translator for The Short Fiction of Flann O’Brien (2013), and a former Visiting Fellow at the Moor Institute in NUI Galway. He lives in Limerick. Deirdre Sullivan is an award-winning writer from Galway. As well as the Primrose Leary trilogy (Prim Improper, Improper Order and Primperfect) she has written three books in the Nightmare Club series, a standalone Novel, Needlework, and a collection of fairy-tale retellings, Tangleweed and Brine. Deirdre also writes short fiction and poetry, which has been published in places like Banshee, The Penny Dreadful, Mslexia, and the Dublin Review. She’s currently developing play called Wake with No Ropes theatre company. When Deirdre is not writing she is a reader and a guinea pig enthusiast. She still likes cake, but she’s been hearing some good things about biscuits recently. Dave Rudden is a former actor, teacher and time-displaced Viking currently living in Dublin. He’s the author of the award-winning Knights of the Borrowed Dark trilogy, and enjoys cats, adventure and being cruel to fiction children. His latest book is Doctor Who: Twelve Angels Weeping (BBC Books, 2018), which is available now. Ruth Frances Long writes young adult fantasy such as The Treachery of Beautiful Things (Dial, 2012) and The Dubh Linn trilogy – A Crack in Everything, A Hollow in the Hills and A Darkness at the End (O’Brien Press, 2014-2016). In 2015 she was the winner of The European Science Fiction Society Spirit of Dedication Award For Best Author of Children’s Science Fiction and Fantasy for A Crack in Everything. As Jessica Thorne she writes space opera romance – The Queen’s Wing (Bookouture, November 2019) and its sequel The Stone’s Heart (February 2019). As R. F. Long she writes fantasy & paranormal romance. She lives in Ireland and works in a library of rare, unusual & occasionally crazy books. But they don’t talk to her that often.